Meet our new friends, Brian and Leslie. That is not me playing Alhambra. Leslie and I don’t see the resemblance, but teachers, parents, and students at the school can’t seem to tell us apart. We wish we had a birr (that’s about a nickel) for every time one of us gets called by the other’s name. Brian and Leslie live in walking distance from the school, in a cool house that is just perfect for playing board games – which is something Brian and Leslie love to do. And that is really wonderful because Andreas and I do, too. Especially if the game is Settlers of Catan. Settlers is coming in our shipments (theirs is stuck in … guess where? 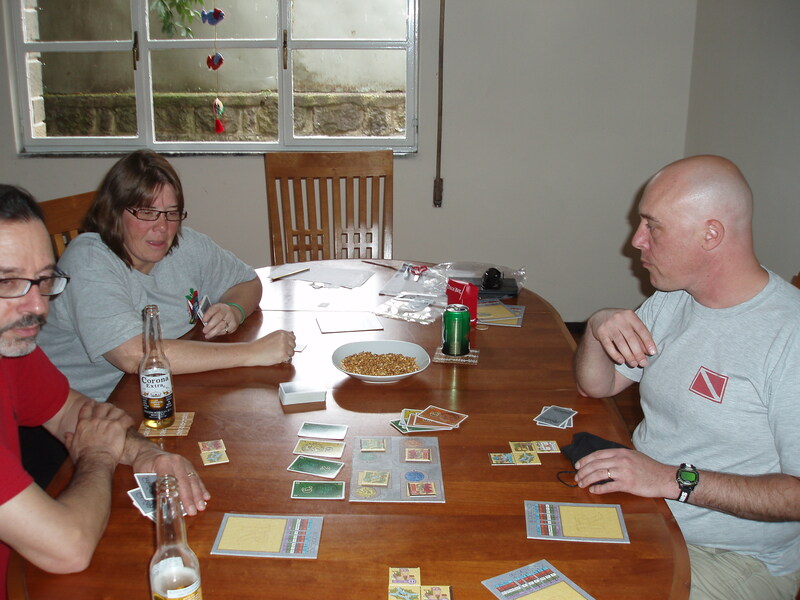 … Djibouti) but we’ve gotten together a couple of times to learn Carcassonne and Alhambra. And one great thing about board games is that you don’t even need electricity.